Fans of travel writing will be familiar with Paul Theroux's evocative descriptions of his train journeys - like The Great Railway Bazaar, The Old Patagonian Express and Riding the Iron Rooster - as well as his other travel books, among them The Pillars of Hercules, about his wanderings around the fringes of the Mediterranean. Of more particular interest to South African readers is his latest offering, Dark Star Safari, about his journey from Cairo to Cape Town in 2001. In all of his travelogues, readers are treated to insightful glimpses of exotic places. 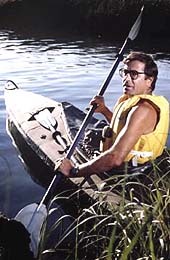 Yet researching Dark Star Safari held other dimensions for Theroux: he had served in Malawi with the U.S. Peace Corps in the sixties and had grown to love that country and wanted to see it again. His plans were simple. Cutting himself off from all his friends and associates, he wanted to disappear into Africa, in much the same manner as French poet Arthur Rimbaud, and then appear again with the raw material for another book. He had no obligations and no time frame, merely intending to make his way down the eastern regions of the continent, from top to bottom, and to tell his story. His journey took him down the Nile, through the Sudan and Ethiopia to Kenya and then on to Uganda, Tanzania, Malawi, Mozambique, Zimbabwe and South Africa. Travelling by boat, train and cattle truck, he watched ordinary Africans going about their lives rather than merely cocooning himself in a luxury game lodge and describing lions and elephants. Continuously en route he formulated opinions, being alternately delighted by individual acts of enterprise and generosity and appalled by the general inefficiency and sullen servility. Yet it was while he was crossing the sweltering Wagogo Plains in central Tanzania that he saw something that helped crystallise the reason for his many concerns. In the shimmering heat he came across a small village with a single mango tree. In the circle of shade beneath the canopy of branches huddled 30 people. At first he thought that the tight cluster of villagers in the shadows were playing some group game but then he realised that they were conducting a survival routine. Immediately a question came to him: why, he asked himself, if shade was essential for survival in such a hot, exposed place, hadn't anyone thought of planting another mango tree? It would have been simple enough to do so because the existing tree contained ample seeds. As he pressed on southwards, the sight of that group of people struggling to keep within the patch of shade stayed with him as a vivid instance of a major African problem - a lack of forward planning. As it turned out, Tanzania provided him with many depressing examples. If Joseph Conrad's Heart of Darkness in King Leopold's Congo had appalled readers in 1902 with its account of roads leading nowhere, collapsed huts and rusting machinery, Theroux soon realised that little had changed in the ensuing century. In some countries, his beloved Malawi among them, things had deteriorated markedly in recent years. The railway line in Tanzania linking Dar es Salaam to Kigoma was a case in point. Built by the Germans to facilitate their plunder of the country, it had been extended by the British, but not a single track had been added nor any improvements made since the colonial era ended. At Dodoma, the Great North Road that crossed the railway was in a similarly appalling shape. Muddy and cratered with potholes, it was barely a road at all. Furthermore, although Theroux was in what was called a First Class carriage, it was filthy. There were no showers and the lavatories stank. The dining car was encrusted with dirt and the food soon ran out. Inevitably, the train broke down. As he sat in his seat, looking through the glass at the gathering darkness outside, the carriage dumped sewage onto the track and passengers flung banana peels and cans and bottles out of the windows. Deafening rap music emanated from the dining car where drunken youths had driven away all the other passengers. It occurred to Theroux that all the train needed to make it tolerable was a broom and a mop and a scrubbing brush and someone with the necessary energy and concern. But nobody seemed to bother. Things began to improve once he reached Zimbabwe. Although Harare was so tense that it had an eerie calm, it seemed far more pleasant to him than "traffic-clogged Cairo, crumbling tin-roofed Addis, crime-ridden Nairobi, disorderly Kinshasa, demoralised Dar es Salaam, ragged Lilongwe, desperate Blantyre, and battle-scarred and bombed-out Beira". Things improved even more when he entered South Africa. Despite the crime and the poverty, at last he had reached a place where almost everything worked, including the political system. The whole country was accessible by road and bus; the streets were smooth and the traffic lights blinked their instructions; there were mature roadside trees that hadn't been cut down; there were undefiled parks. The universities were excellent and the level of public debate seemed to him impressive. Call him a cynic but Paul Theroux's revelation two years ago should give us a jolt. Dirt and degradation don't have to be our future but they remain a possibility if nobody takes the trouble to care. As an antidote to Theroux's often sombre assessment I was reminded of my first visit to a squatter camp. It was at Groutville on the north coast. 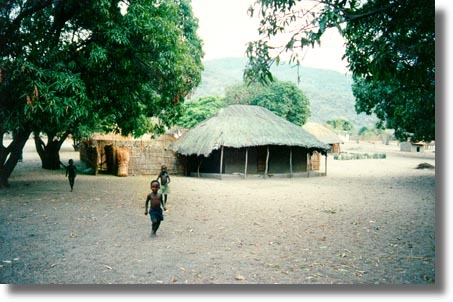 Because of the poverty, the shacks were haphazardly built. Because of the lack of a sewerage system, the air was foul. Yet to enter those dwellings was a humbling experience. They were meticulously clean. Box-wood shelves were lined with newspaper. Modest possessions were neatly arranged. Despite the huge odds against them, those shack dwellers were attempting to live with dignity. Through such an attitude, and not the squalid disregard that characterises much of our continent, lies a successful future. * Dark Star Safari: Overland from Cairo to Cape Town by Paul Theroux, published by Hamish Hamilton 2002. R154.